Microbrewery seems to be a popular business in London nowadays. 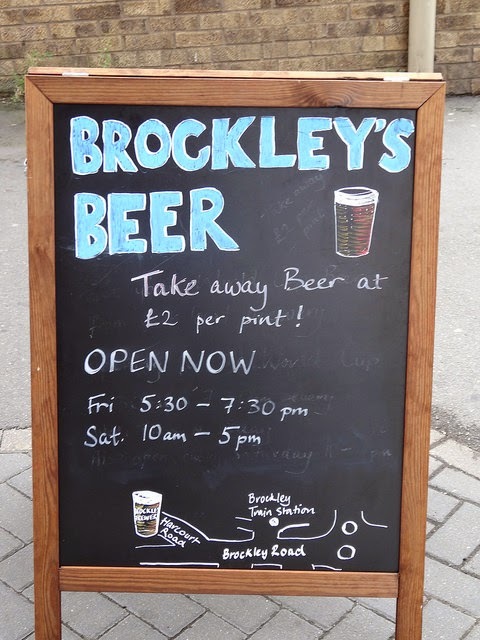 There are two rather excellent, friendly breweries close to where I live, in southeast London - Brockley Brewery in Brockley and Brick Brewery in Peckham Rye. 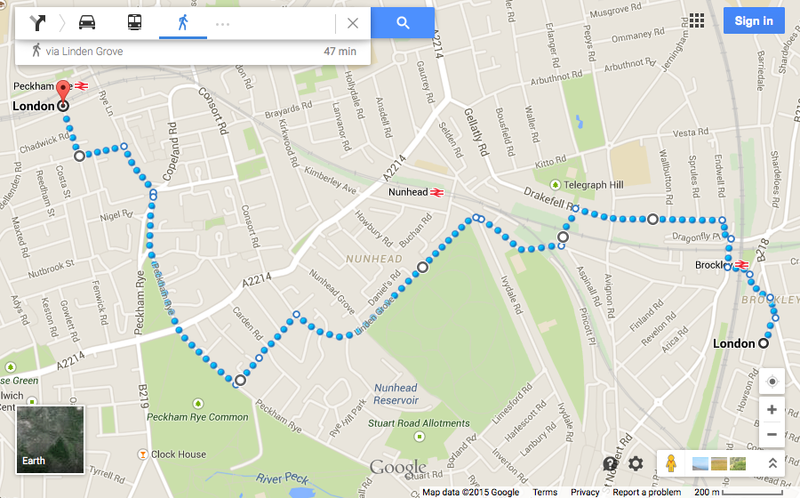 I regularly walk these neighbourhoods, so I thought I would map a walk linking the two breweries. 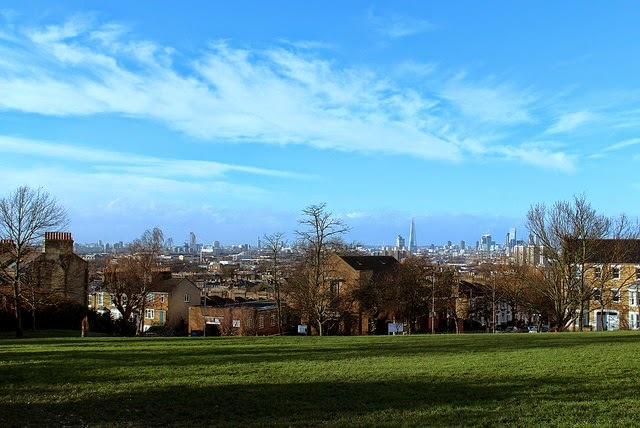 This simple 2.4-mile walk takes you past a couple of very pleasant parks, an old Victorian cemetery and down one of the most vibrant shopping streets in London. 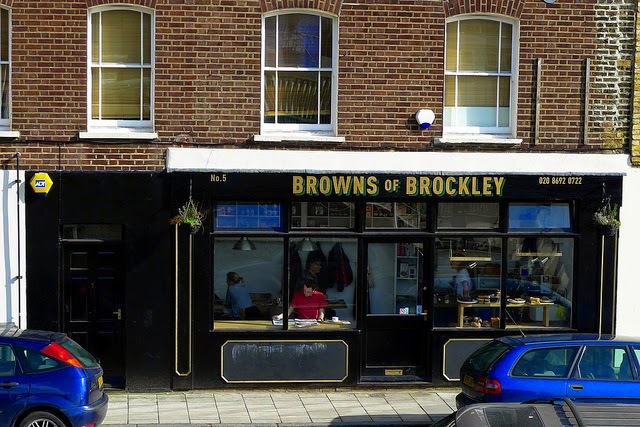 Brockley Brewery is on Harcourt Road, pretty close to the Brockley Overground station, housed inside what looks like an old garage. 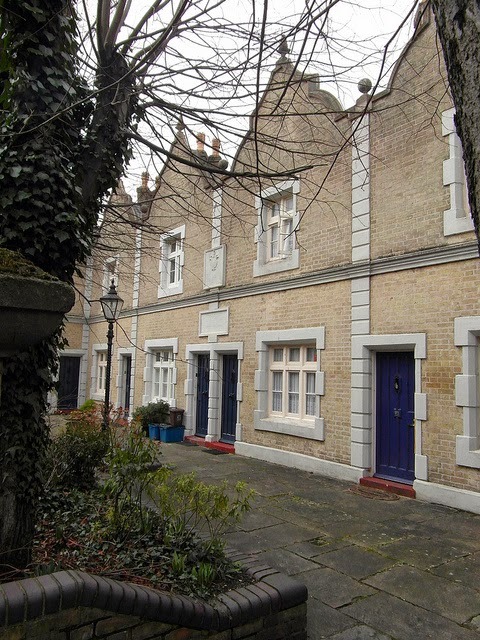 After enjoying a tasty pint (or a half) there, make you way back to the station, cross the bridge, turn right to reach Drakefell Road, a typical Victorian terrace-lined road in this part of London. You will walk past the entrance to Telegraph Hill Upper Park. I encourage you to pop in, if only just to check out the wonderful view across London from the top. Go through a foot tunnel/bridge and follow the route to reach Linden Grove. 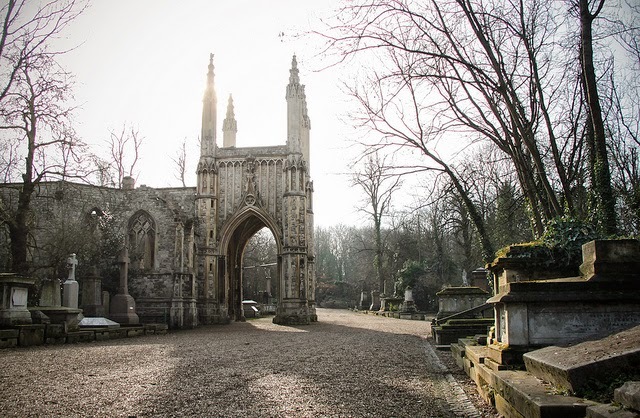 Here you will find a real hidden gem - Nunhead Cemetery. This is one of the "Magnificent Seven" Victorian cemeteries. Again pop in to experience the tranquil and magical environs, but don't get lost - you need to get to the other brewery! Go down Forester Road and then Solomon's Passage. 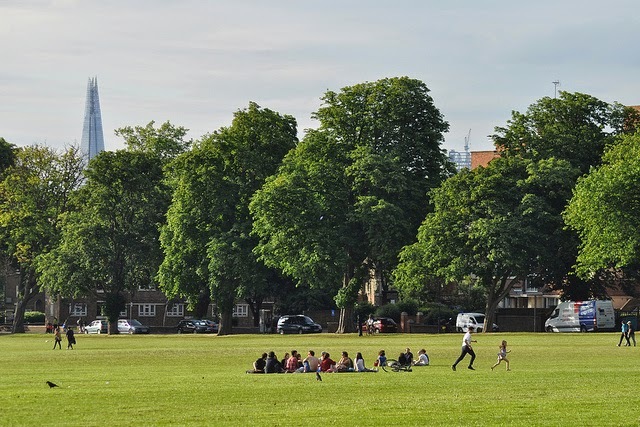 You will soon find the vast green space of Peckham Rye Common. 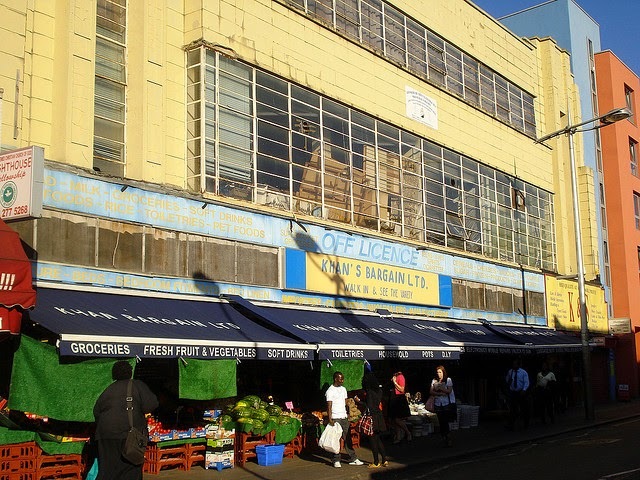 Head north along the edge of the common to reach Rye Lane. 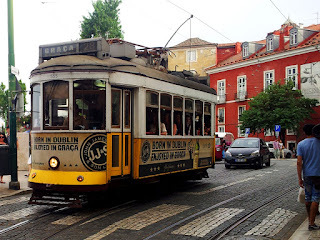 The combination of Art Deco architecture (yes I am a huge Art Deco geek, check out my Art Deco London map) and diverse cultural vibe always fascinates me about this busy shopping street. 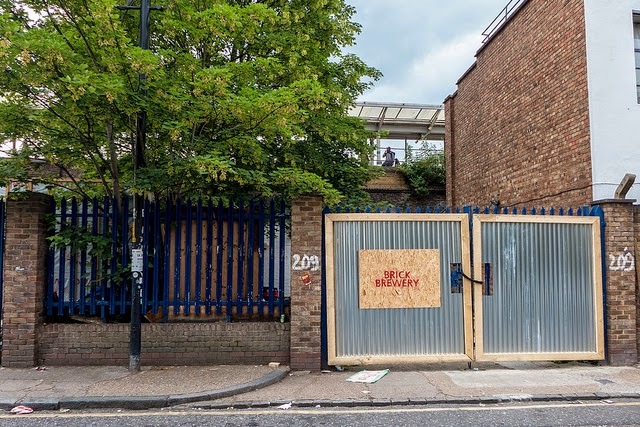 Also worth mentioning is Bussey Building on the right which hosts some interesting art and music events. 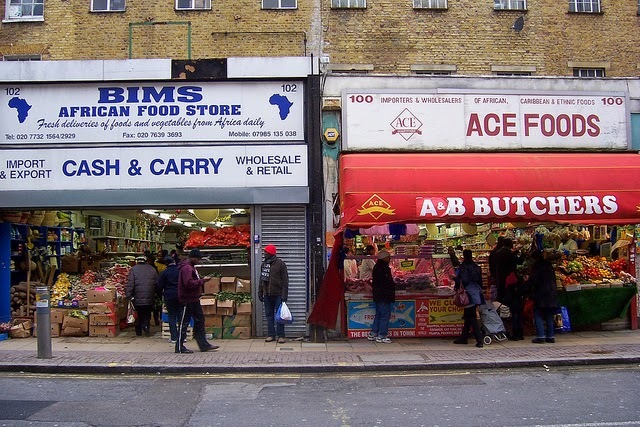 Turn left into Choumert Road, and then right into Choumert Grove, and you are in a decidedly different setting to the hustle and bustle of Rye Lane. 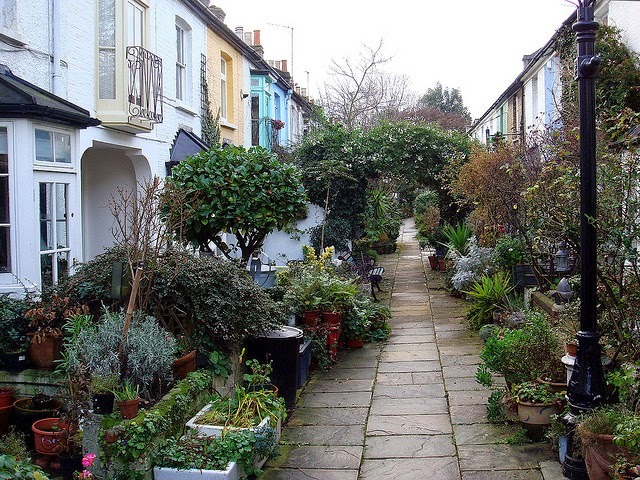 Look out for the beautiful Girdlers Cottages before being stunned by the quaint Choumert Square - I bet you would never believe a place like this would exist right in the middle of Peckham. 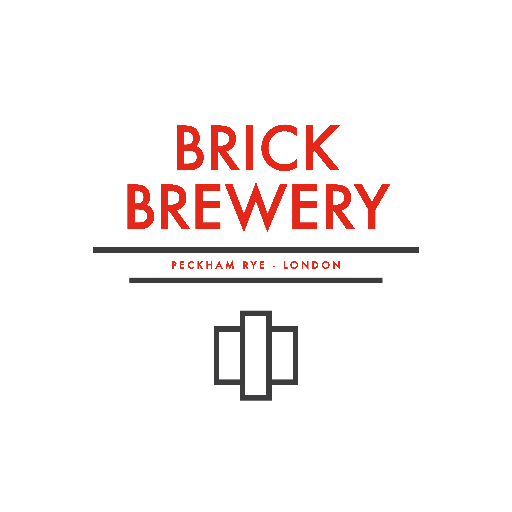 Find Brick Brewery on Blenheim Grove to claim your well-deserved pint! 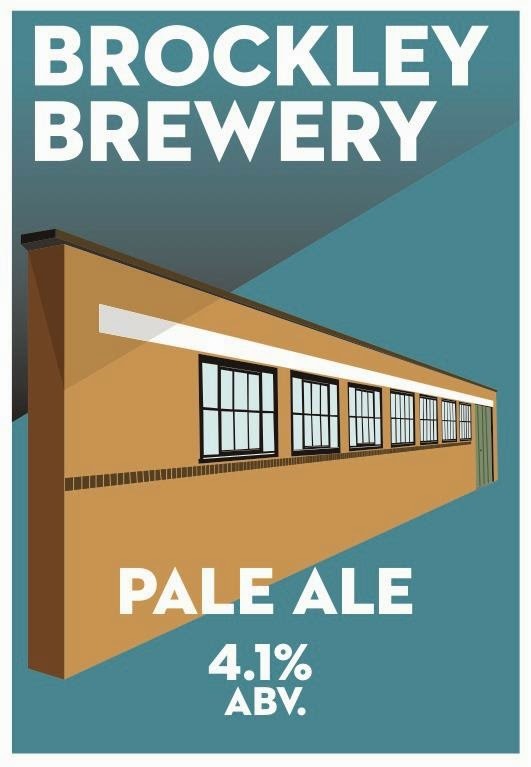 PS - remember to check on the brewery websites for opening hours (Saturday afternoon is a safe bet)!